Today, Sylvie Lailler became the 10,000th Nissan LEAF customer in Europe, further cementing the ground-breaking zero emission car's status as the best-selling electric vehicle of all time. Mrs. Lailler is a nurse who will be driving the Nissan LEAF on visits to elderly patients and using it with her family at the weekends. She picked up her Nissan LEAF from the Mantes-la-Jolie dealership near Paris, near where she lives. Mrs. Lailler purchased the 100% electric family car after being impressed on the test drive: "I purchased the car because of the low running costs really make sense for my work. 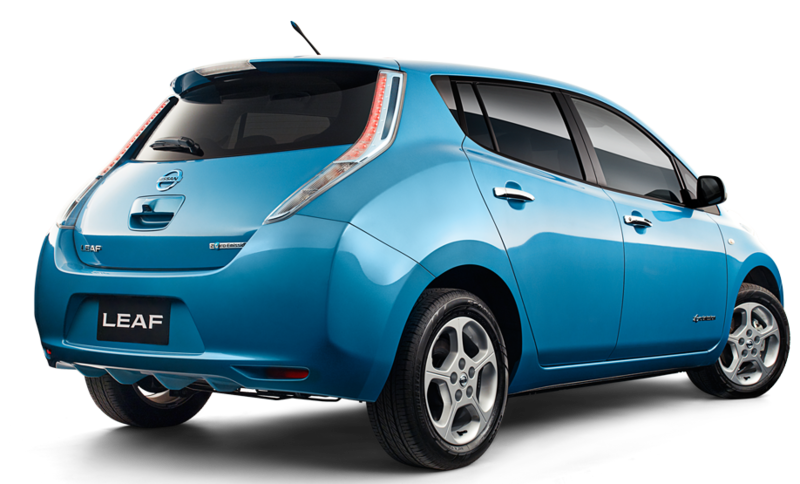 I needed a proper family car and I wanted a zero emission vehicle to replace my diesel hatchback, the Nissan LEAF was the best choice. My family were reluctant to get an electric vehicle, but after the test drive my husband told me he wanted it to drive to work, he will not get the keys from me easily though!" She continued: "As a nurse I know the effect that the poor air quality in Paris has on people, so it makes me feel good to know I am not adding to that by driving an electric car. I will mostly be using it for work, driving between patients, but I am also looking forward to taking the LEAF on the Autotrain to the south of France with my family for our holiday in the summer." The Nissan LEAF went on sale in Europe in March 2011 in a handful of markets and is now available across the region as the demand for electric vehicles increases. Nissan Europe Director of Electric Vehicle, Jean-Pierre Diernaz is delighted to have hit the 10,000 sales milestone: "This is an important moment for electric cars in Europe and comes at a time where we are seeing a sales momentum building for the Nissan LEAF across the region. In March we sold over 1000 LEAF, which was the best month since the car was launched and in April we were the second best selling car overall in Norway." He added: "We are seeing a shift in attitudes to electric mobility, with more people buying electric cars and the infrastructure developing at an ever increasing rate. We have hit this landmark just as we prepare to introduce the new European-manufactured Nissan LEAF with over 100 improvements into the market." The new Nissan LEAF, which is being built in the UK will go on sale across Europe next month, with over 100 changes and upgrades inspired by real life customer feedback.